C. Edward Brice, the Senior Vice President of Worldwide Marketing at Lumension, is pioneering the use of social media throughout his company. Here he shares his thoughts on the impact Web 2.0 has had — and will have — on B2B marketers. Q. 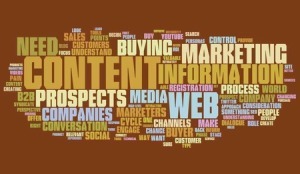 How does Web 2.0 affect content marketing? A. Marketing principles haven’t changed, but the tools, prospect expectations, and the way that we execute on those principles is changing radically. The brand — or company — used to control the conversation, interaction, and most importantly, the information. If a prospect wanted information on a product or service, he or she had to approach the company and get inserted into its sales process. The company would then decide when to release certain information. That control extended to all aspects of marketing, such as voice, image, etc. Prior to Web 2.0, people would gather information via the phone, snail mail, or in person at events. In those scenarios, there was lots of friction to the conversation. That’s fundamentally changed. Today with the Internet and Web 2.0, friction is practically non-existent. Word of mouth flows freely. People are extremely informed because information is available anywhere. For example, according to TechTarget/Google research, the primary source of information about products and services is someone’s peers and colleagues. People place more trust in those sources than in the company itself. As a consequence, companies have to engage differently with prospects. They have to stop focusing on the sales cycle and instead focus on the buying cycle. This ultimately means that companies need to understand prospects and customers to a greater extent, including how that individual wants to buy and what information they need at particular points in the buying cycle. If companies aren’t able to provide the right information in the right context in a way that prospects and customers want to consume, they won’t be able to connect. It goes back to the principle: Know Your Customer. Except that now companies need to know prospects and customers more intimately and from an outside-in perspective. Q. In a May 26 B-to-B Magazine article, you said, “If you’re not looking at and understanding how [prospects] buy and what they buy — and what information they need at each stage — you’re at a significant disadvantage. ” How can companies better understand how prospects buy and what information they need at each stage? A. One way is to develop role-based personas. The key point is to focus on a specific role and better understand how that role buys, what are the key pain points and motivations, what are the right type of questions to ask, and who do those people turn to for purchase validation, whether peers, analysts, or media sources. The more robust you can make the role, the more you’ll be able improve the Web experience and tone and style of writing, the more relevant you can make your branding, and the more you can improve sales readiness and optimize the marketing mix. You don’t need to create the most expensive and grandiose profile. The level of sophistication will depend on your company’s skill set, budget, and available resources. In the past when I worked at a big company, we spent lots of time and money on this. Now I’m at a smaller company where we have to be focused and targeted. With that in mind, we started by creating high-level personas. We split them into three main buckets. The first is the economic buyer, who might not decide who makes the shortlist, but will sign the purchase order. The second is the technical buyer who puts together the shortlist and is a major player in the buying process. The third is the user buyer who may not decide the final three vendors for consideration but will use the product or service. We then map these to the standard buying process and consult our database of customer information to determine which titles are falling into these buckets. Essentially we’re focused on understanding buying roles on an individual basis to create a wireframe. This foundation establishes the dimensions you want to capture. Let’s take Joe Smith at a mid-sized company. You want to know what motivates him, what his pain points are, what he reads, etc. This is an ongoing exercise. You can always bring more dimension, information and validation to the process. There’s a wealth of information available. Reach out to your media partners, such asTechTarget. These companies conduct a tremendous amount of research into how their audiences consume the information they publish. Talk to your sales team to understand buyer roles. Conduct low-cost research using free survey tools. Mine your database for information on company size, roles, titles, etc. and map all of these to a simple buying model. None of this is easy work. But you need to understand your prospects more intimately than before. If you build on this platform, you’ll see tremendous value. Q. How does the fact that the buyer is in control change the content that Lumension presents for each stage of the buying cycle? A. Before we create content, we look at the type of buyer we want to reach at the awareness, consideration, and selection phases. These factors influence the depth and breadth of the content. For example, at the awareness phase, we will offer something lightweight, such as basic information that discusses the prospect’s challenge or pain. It could be something like “Five Ways to Reduce Your Audit Pain.” In other words, it would not be product-specific. In many cases we will make this information available for download from our site, sometimes without registration. Once we are interacting with someone in the consideration phase, we offer meatier content such as a customer ROI case study, written by a third party such as an analyst. In the consideration phase, we offer more technical content about our products and technology and how we address specific customer pain points. We’re also starting to develop content that helps prospects compare us to other approaches and offerings. Competitive comparisons are some of the most heavily searched terms. Most companies didn’t grow up in the Web 2.0 world and because of that, competitive comparisons make them nervous. But buyers are searching for that content in their buying process. Either someone else gives it to them or you can. There’s a way to compare yourself to the competition in a professional manner, without disparaging those other options. All of these content types link back to buyer personas and understanding what type of information someone needs based on their role and place in the buying cycle. You can’t just repurpose corporate jargon. You need to develop valuable content. If you don’t, you’ll be bypassed. Q. One aspect of the Web 2.0 world is a call for more transparency. How can B2B companies respond to this? A. Companies and people are always going to try to paint themselves in the strongest light. You can do that but still be more transparent and honest. Those that are more open and engaging tend to be most effective. For example, think about pre-sales technical engineers who are straightforward with prospects about a product’s shortcomings. Prospective customers really appreciate that honesty. Being able to see what people are saying about your company, such as on Twitter and your blog, offers companies a unique perspective. Instead of ignoring an issue or covering it up, forward-thinking companies are seeing these situations as an opportunity to engage in dialogue. We always monitor what’s said about Lumension and try to respond to comments — whether they’re negative or positive — that we come across. We conduct daily share-of-voice monitoring on the Web and take an integrated approach where our corporate communications team works with support and sales to reach out to that prospect or customer with a response. We put forth our point of view and factual information and engage the person who left the comment. We admit our challenges or correct a wrong perception in a professional manner. Essentially, we’re focused on healthy dialogue. Q. One of the rules of content marketing/social media is to offer something compelling and valuable with no strings attached. How does that principle inform your marketing approach? A. When we look at the continuum of change for B2B marketing, the registration issue will likely be the final bastion. That’s because the majority of B2B marketers are judged daily on qualifying and delivering qualified leads to sales. We’re looking for a happy medium. We used to require registration for everything. Now within our newsletter content, we point subscribers to all types of resources they can access without registering, such as collateral and high-level demos. But we always ask, “Should we require registration for this premium content or is it in our best interests to provide it freely?” If I’m offering something of value — such as exclusive research or a third-party report — I think it’s fair to ask for something in exchange. Perhaps someday no registration will be required for any content. But for that to happen, marketing will need to be measured differently. Marketing is the vanguard of this change — creating content, interacting with prospects, and dealing with more channels of interaction. It’s up to marketing to provide the rest of the organization with insight into how these things are changing. The marketing group needs to take a proactive approach in explaining to management — by sharing real-world examples and data points — that this is now about the buying process, not the sales process. Otherwise, the pressure will only increase and marketing will be dealing with lots of pain as the world continues to evolve. Q. One of the reasons marketers struggle to embrace social media is because so much is out of their control. Are there any ways that marketers can maintain control when it comes to Web 2.0? A. Once you enter these new channels, you open yourself up to whatever might come. But instead of fearing these situations, companies need to look at them as opportunities to engage. If someone isn’t happy with what you’re saying or doing, engage them to see how you might change their perspective or experience. It’s actually an opportunity to position your company in a positive light. While you can’t control what others say about your company or its offerings, the beauty of Web 2.0 is that your response and the context for it will always be out there. Company culture is the biggest hindrance to B2B marketers leveraging Web 2.0 tools and new ways of communicating. As I said before, most B2B companies were not born in this environment. No matter how proactive they are, many still struggle in this new world. Recently on Twitter, the customer service rep for a major company called someone an idiot. Clearly that person wasn’t following the company’s policy and guidelines. That’s where lots of friction starts to happen. Companies can develop all kinds of policies, but if their employees lack common sense, it won’t matter. It’s about education and making sure you’re leveraging the right people to interact and engage. The reality is that a company’s employees are out on the Web in many ways and places. So the first step is to educate employees about how to represent the company. Q. Do social media insights inform your marketing messages/strategies? For example, as you hear how prospects and customers talk about your company and its offerings via Twitter or on blog comments, do you integrate that language into your marketing campaigns? A. We do monitor comments. If someone has a challenge with one of our products, we can feed the information to product management or customer service. We’re also about to launch a customer community called Lumension Connect, which we hope will encourage more ongoing conversations. As a smaller company, we just can’t compete with larger companies from a budget and scale perspective. It’s vital that we tap into our ecosystem for co-innovation and Web 2.0 enables that. No one is really there yet, but that’s where the real payoff lies. After all, companies invested in your technologies want you to hear their ideas and feedback. Thinking that innovation can only come from within the four walls of your company is a twentieth century view. Q. How can marketers measure the effectiveness of their activities in the Web 2.0 world? A. We bypassed ROI. Social media is about conversation and opening up dialogue. The moment you introduce other objectives, you seal your fate. For example, if you tweet to drive leads, people will see you through your tweets. You first have to say, “Do we want to have a dialogue?” You don’t need ROI to have a conversation on the phone with a prospect or customer and you shouldn’t need it to connect with them via social media. Q. How much time does Lumension dedicate to content marketing and social media compared to “Web 1.0” marketing? A. 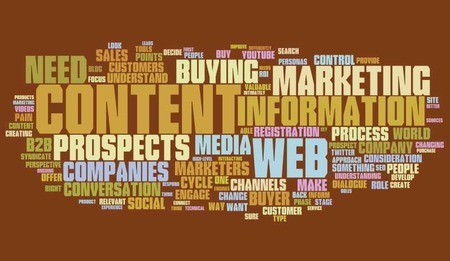 Content is king in the Web 2.0 world. I view marketing as a publishing function. Content development is our focus. If we don’t produce relevant content, it won’t do any good to funnel it into a Web 2.0 channel. The problem is that Web 2.0 activities don’t scale because it’s all about having a conversation. To support social media, you need to dedicate people and time to creating content and engaging with prospects and customers. This is where a lot of companies are hitting their heads against the wall. It all gets back to first deciding you want to have conversation with your market. Then you have to make the commitment to participate. Q. What are some of the Web 2.0 tools you use? We’re trying to build an optimized SEO approach across our content. YouTube and other video syndication channels are great channels for that. We leverage rich media content in lots of places. We syndicate our videos on YouTube and Facebook, we tweet about them, and post links to them on our blog. We don’t even host videos on our site — we pull them in from YouTube. Other people end up putting links to our videos on their blogs and portals. That combined with our rankings on YouTube helps us get found in the search engines. Q. What lessons have you learned that could benefit other B2B marketers? 1. Decide whether or not you want to have a conversation — and then commit to participating and engaging on an ongoing basis. 2. Content is king. You need to make sure it’s relevant — and valuable — to prospects based on where they are in the buying cycle. Think about how you can educate and inform your target audience with your content. 3. Think like a publisher. Figure out where you can syndicate your content to get the most readership, and make sure those channels are working in concert.